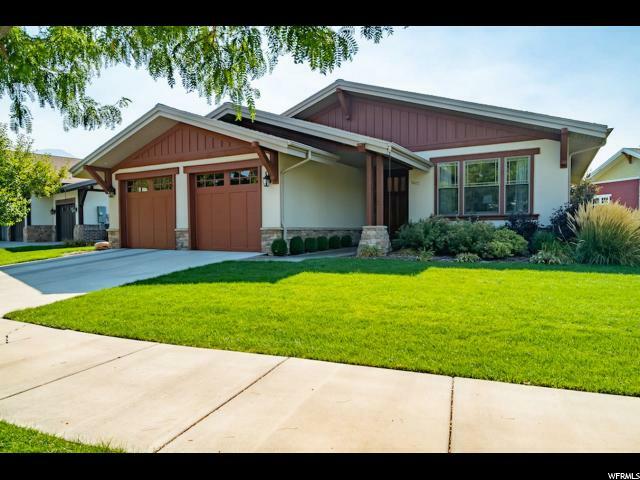 All GABLES AT GRANDVIEW homes currently listed for sale in Provo as of 04/25/2019 are shown below. You can change the search criteria at any time by pressing the 'Change Search' button below. "Our home is in a friendly neighborhood of 26 craftsman homes surrounding a beautifully landscaped common area with a stream running through the vegetation. There is a large heated pool and a clubhouse that features a spacious gathering area and fireplace on the main, and games tables and exercise equipment downstairs. One of the many benefits of this PUD is that your landscaping is taken care of so that you can leave and know that your home will be cared for. In our home we installed premium carpet and pad that feels like you're walking on a cloud, and hickory wood flooring (harder than oak or maple). You will find new quartz countertops, new kitchen faucet, new sink and disposal, new fiveburner stove top and hood, new water heaters and on-demand hot water. Special features include a His and Hers den on the main floor with a custom sewing center, a custom vanity in the master bedroom, a well-designed kitchen with ample, easy-to-use storage; a programmable lighting system, whole house audio, and temperature control by Control4, LED lighting thought out the inside and outside, and a whole house water filter. The custom finish and cabinets feature alder wood and tall solid doors. In the basement you'll find two bedrooms, a home theater area and rec room area, large storage room with an extra fridge, a wood-burning stove with a cook top for emergencies, and a large playhouse under the stairs. Both the interior and exterior have been repainted, a new epoxy coating added to the garage floor, and extensive computer and TV wiring. All of these upgrades have made this home like new! "